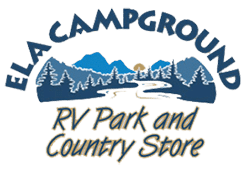 Ela Campground, RV Park & Country Store has everything you need for for fun-filed campground experience for the whole family. Have fun tubing down the Tuckasegee River, fishing, campfires, swimming in our pool and more. Wireless internet is available. Whether you are traveling with a tent or in a motor home, Ela Campground & Country Store is a wonderful way to relax, unwind, and enjoy the beautiful outdoors surrounded by the magnificent Smoky Mountains. Our campsites are just steps from the Tuckasegee River and campers have three easy access areas to the river.